This course is great for learning about animals, their environment and their biology. It has been a great way to find like-minded people, as well as being given the opportunity to travel the world with a variety of trips available. “From a young age I have always been interested in animals, so when I came to an open day at NTU Brackenhurst and saw the variety of animals that the campus had to offer I was very interested. The tutors were very friendly and welcoming. “I really enjoyed the module on anatomy and physiology and breeding and reproduction as I have been interested in them for a long time. I was really glad that I was able to develop my knowledge in these areas. 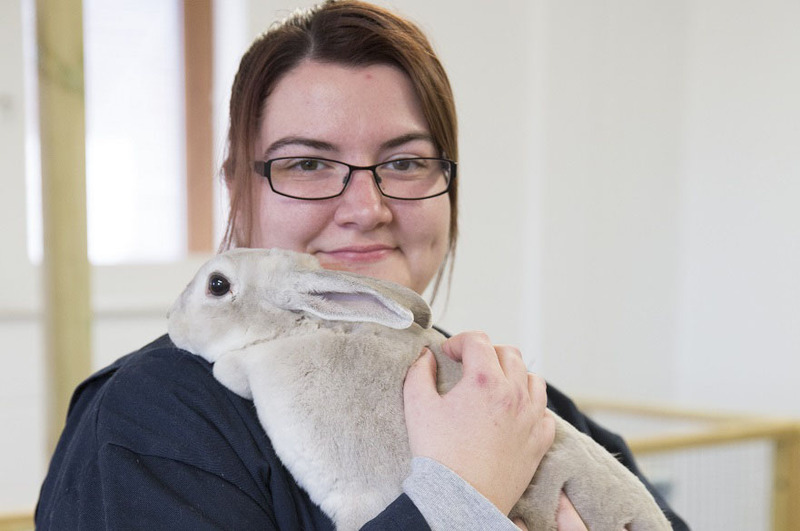 “This course is great for learning about animals, their environment and their biology. It has been a great way to find like-minded people, as well as being given the opportunity to travel the world with a variety of trips available. I will be taking this opportunity myself when I head to Madagascar to do research in the field. “Outside of my studies I also belong to the Brackenhurst women’s football team and I am also on the committee. It is a great team to belong to, and we are all very close which is very important when being part of a team. I have certainly made friends for life by being on the team.